In Aitutaki we had met Marie and Brian, a wonderful couple from New Zealand, during a snorkelling trip. 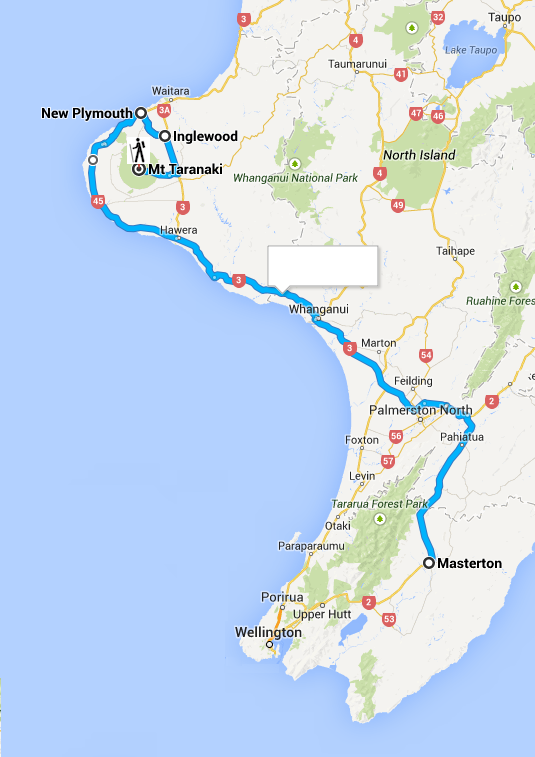 When we told them that we would be travelling to New Zealand soon, they invited us to visit them at their place in Taranaki and now our road trip finally brought us to the west coast of North Island. In fact we were quite lucky with our timing, because when we called them to see if they would be home, they told us that they would be leaving for a camping trip on their own only a couple of days later. 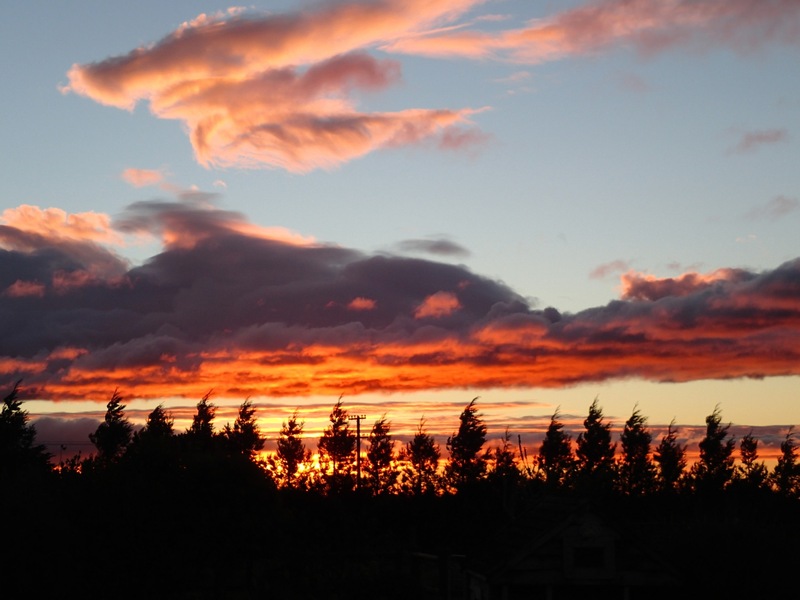 So after a nice breakfast in Cookie’s bakery and my second travel haircut ( 🙂 ) we drove almost seven hours straight from Masterton to Inglewood and finally arrived at “Gillet Manor” at sunset. Marie and Brian were already waiting for us and took us in with a nice dinner snack and a glass (or two) of Dubliner Irish Whiskey Liqueur before showing us to our room for the next couple of days. The next morning started with a nice breakfast and a tour around their amazing house on a hill of their old dairy farm, that is now managed by one of their four sons. And then Marie and Brian took us out on an amazing Caddilac sightseeing trip to New Plymouth in their burgundy Caddilac La Salle oldtimer! Now THAT is the kind of car you should do a road trip through New Zealand in 🙂 It was amazing and we had a wonderful time at Lake Mangamahoe and New Plymouth with the two! 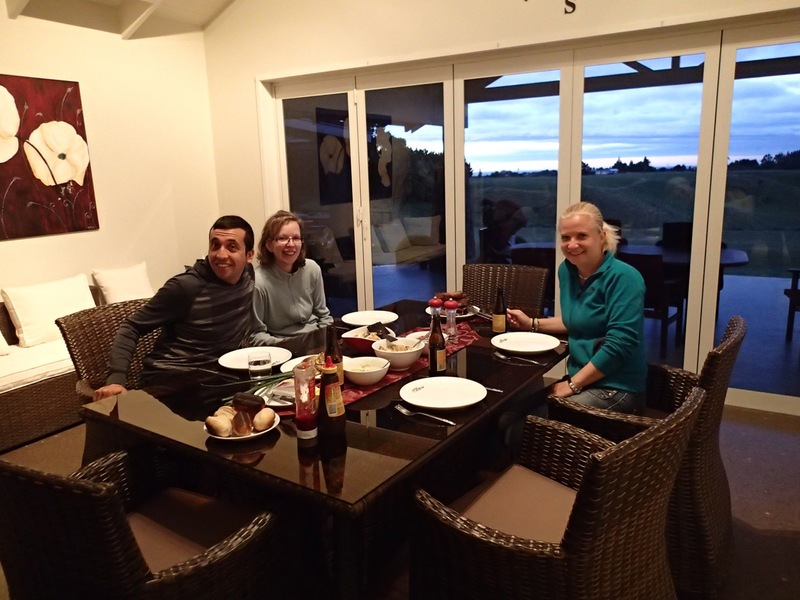 When we told Marie and Brian that we were planning to move to a Motel or Hostel the next day to meet with Cristian, Cookie and Mini-Cookie for a hiking trip to Mount Taranaki, they wouldn’t hear anything about it and instead invited the three of them to their house as well. We were just speechless about so much hospitality and will never forget how welcome you had made us feel at your lovely home !!! After we got a million useful hiking tips from Brian’s brothers in law that night (his five sisters and their husbands came over for dinner), Cristian and I got up at 6am the next morning and prepared to tackle Mount Taranaki. This perfectly shaped volcano, also called Mount Egmont or simply “the mountain” by locals, features in some movies as Mount Fuji in Japan, because they look very much alike and filming in New Zealand is a lot cheaper :-). It looked amazing in the morning sun with it’s white cloud beanie as we began our ascend from the North Egmont visitor centre. Up until Tahurangi Translator Tower and Tahurangi Lodge it was a steep but nice walk, but unfortunately the mountain never took off his cloud cap during our hike and the wind was getting worse the further up we got. That’s it! I’m cold, it’s freezing and I had enough of this snow! About halfway up the summit climb we were trudging through snow covered gravel slopes and eventually the track led us to ice covered rock steps. I desperately wished I had brought gloves for our summer trip to New Zealand and we did certainly not bring the right equipment for THAT kind of terrain. So we followed hiking tip #1 to return when the track does not feel safe any more and turned around … and as always in this country there were a couple of crazy Germans and French who passed us and attempted the summit climb that day anyway. Get the magnifying glasses out. Cristian and I are somewhere on that mountain! Cristian and I were just glad we made it safely down the mountain and were looking forward to a delicious BBQ dinner at “Gillet Manor” while Brian and Marie were at a birthday party for one of their granddaughters. When they came back we finished the exiting day with a nice glass of whiskey liqueur as nightcap. The next day we sadly had to continue our trip to Auckland, although we much rather wanted to stay longer with our amazing hosts. 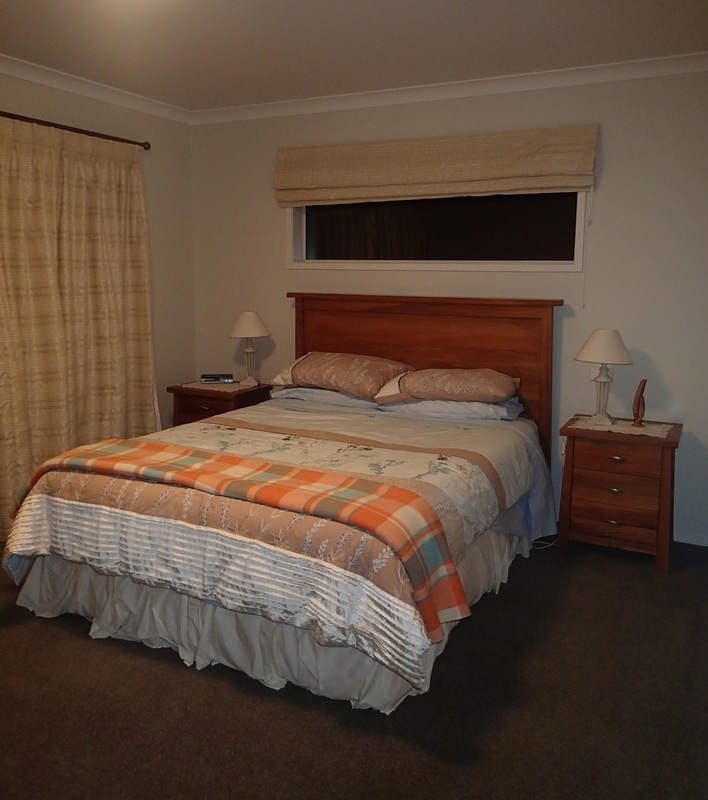 So we delayed our departure until noon and I decided to get up early again and help Brian and some family friends renew the weatherboards at their old farmhouse. It was really interesting to get a glimpse of how the wood frame houses are build in New Zealand (and how the farmers sometimes make do with the material they have on hand). In the end we just couldn’t postpone our trip any longer and had to say goodbye to Marie and Brian. You were soooo lovely to us and we hope to visit you again next time we come to New Zealand! farewell from ‘the mountain’ … no bloody cloud that morning! Grrr! 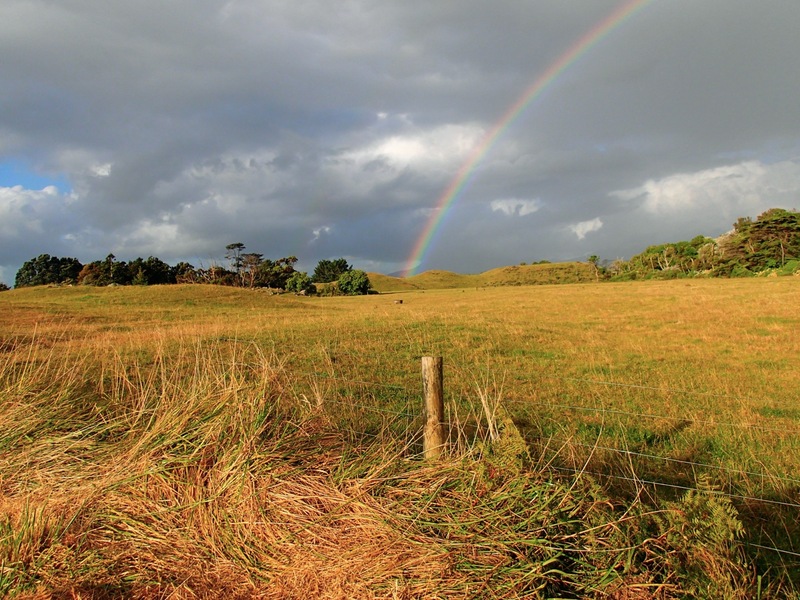 Kia ora, the photo titled “Mt. 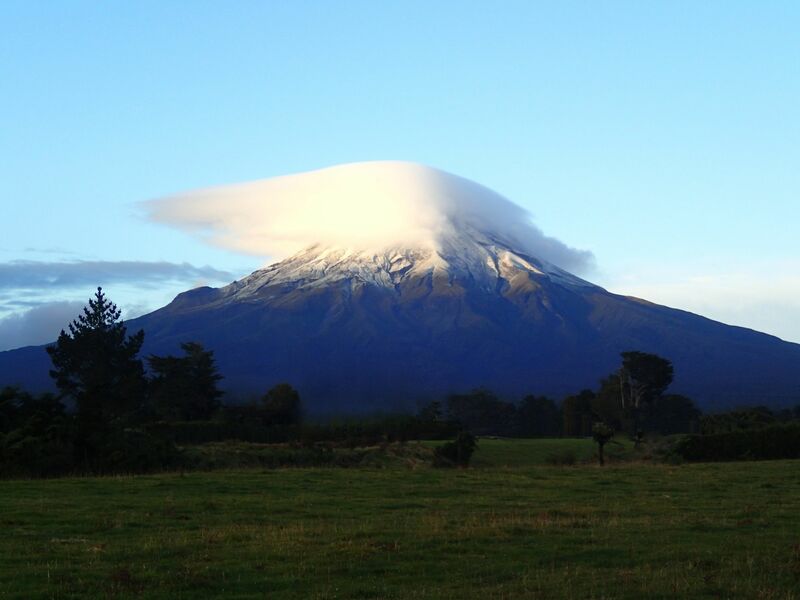 Taranaki with cloud beanie” is amazing! I will acknowledge its source and reference your blog. thanks a lot for your interest in our picture. Of course you can use it for your collection. Send us a link or reference of your work so we can read it too.